Hadith no. 2671 (below) is a repeat. Read it here. Why do we make it hard for people to practice Islam, to come close to Allah and increase in His love? Why do we have to act like “haraam police” all the time? Take a chill pill, a’ight? Hadith no. 2586 (below) is a repeat. Read it here. Ahadith 2349 – 2353 are repeats. See linked text for related posts. 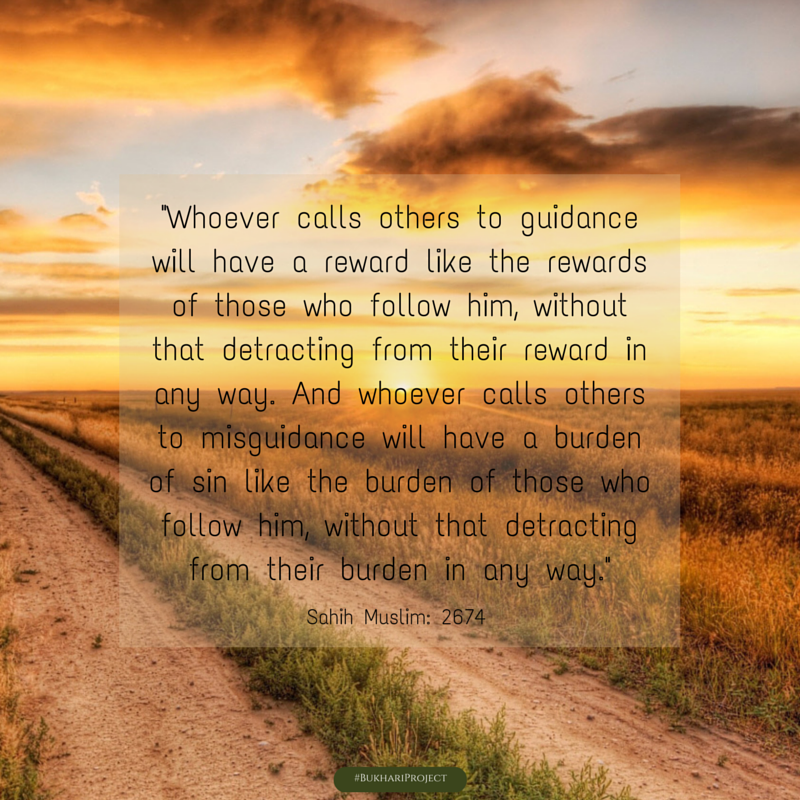 Allah’s Apostle (sallallaahu `alayhi wasallam) said, “If the people knew what is the reward of making the call (for the prayer) and (of being in) the first row (in the prayer), and if they found no other way to get this privilege except by casting lots, they would certainly cast lots for it. If they knew the reward of the noon prayer, they would race for it, and if they knew the reward of the morning (i.e. Fajr) and Isha prayers, they would present themselves for the prayer even if they had to crawl to reach there. Book of Witnesses [Kitaab-ush-Shahaadaat] ends here. Book of Peacemaking [Kitaab-us-Sulh] starts today.. There was a dispute amongst the people of the tribe of Bani ‘Amr bin ‘Auf. The Prophet (sallallaahu `alayhi wasallam) went to them along with some of his companions in order to make peace between them. The time for the prayer became due but the Prophet did not turn up; Bilal (radiallaahu `anhu) pronounced the Adhan (i.e. call) for the prayer but the Prophet (sallallaahu `alayhi wasallam) did not turn up, so Bilal (radiallaahu `anhu) went to Abu Bakr (radiallaahu `anhu) and said, “The time for the prayer is due and the Prophet (sallallaahu `alayhi wasallam) is detained, would you lead the people in the prayer?” Abu Bakr (radiallaahu `anhu) replied, “Yes, if you wish.” So, Bilal (radiallaahu `anhu) pronounced the Iqama of the prayer and Abu Bakr (radiallaahu `anhu) went ahead (to lead the prayer), but the Prophet (sallallaahu `alayhi wasallam) came walking among the rows till he joined the first row. The people started clapping and they clapped too much, and Abu Bakr (radiallaahu `anhu) used not to look hither and thither in the prayer, but he turned round and saw the Prophet (sallallaahu `alayhi wasallam) standing behind him. The Prophet (sallallaahu `alayhi wasallam) beckoned him with his hand to keep on praying where he was. Abu Bakr (radiallaahu `anhu) raised his hand and praised Allah and then retreated till he came in the (first) row, and the Prophet (sallallaahu `alayhi wasallam) went ahead and lead the people in the prayer. When the Prophet (sallallaahu `alayhi wasallam) finished the prayer, he turned towards the people and said, “O people! When something happens to you during the prayer, you start clapping. Really, clapping is (permissible) for women only. If something happens to one of you in his prayer, he should say: ‘Subhan Allah’, (Glorified be Allah), for whoever hears him (saying so) will direct his attention towards him. O Abu Bakr! What prevented you from leading the people in the prayer when I beckoned to you (to continue)?” Abu Bakr (radiallaahu `anhu) replied, “It did not befit the son of Abu Quhafa to lead the prayer in front of the Prophet (sallallaahu `alayhi wasallam). There is an apparent problem with this hadith that the scholars have reconciled in different ways. Problem: this ayah was not revealed after this incident because it took place in the very beginning in Madinah, and Surah al-Hujuraat was revealed in the later stages. Furthermore, the people of Abdullah ibn Ubayy were not Muslims yet and that is why the Prophet (sallallaahu `alayhi wasallam) went to them – to give da’wah, and the ayah talks about “two Muslim groups”. Anas (radiallaahu `anhu) gives this ayah as evidence instead of stating the reason for its revelation. Read its tafsir for details. There were some Muslims among Ibn Ubayy’s people and Allah was referring to them in this ayah, because his hypocrisy wasn’t exposed yet. Anas (radiallaahu `anhu) uses the word “ballaghanaa” (بلغنا) while narrating this hadith which means “it reached us”.. so it’s unclear whom it came from and how sound the report was. Whichever one it is, Allah knows best. But it’s definitely intriguing! Sounds like the SIST 2014 theme? That’s because it is the same. I wrote this piece to participate in Spoken Word competition at SIST . Finished it 1 day before the event. Too bad couldn’t memorize it properly and forgot while reading. No position for me lol But Alhamdulillah everything happens for a reason so I’m happy :) I just noticed that now I have 27 pieces and if I reach 50 I might make them into a small book in sha Allah. Man I missed posting on this blog so much! Please do read the amazing Ahadith posted everyday. Would you believe me if I said there’s an army coming? Would you prepare to fight, or would you start running? Man I don’t understand why you don’t listen to me! 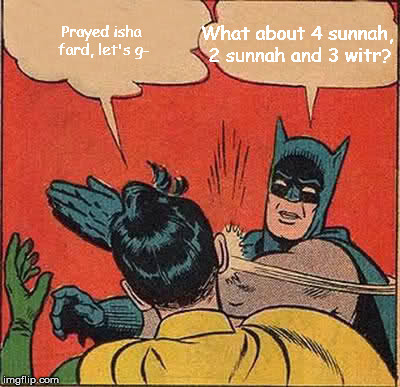 I seem to be doing the Da’wah properly!! 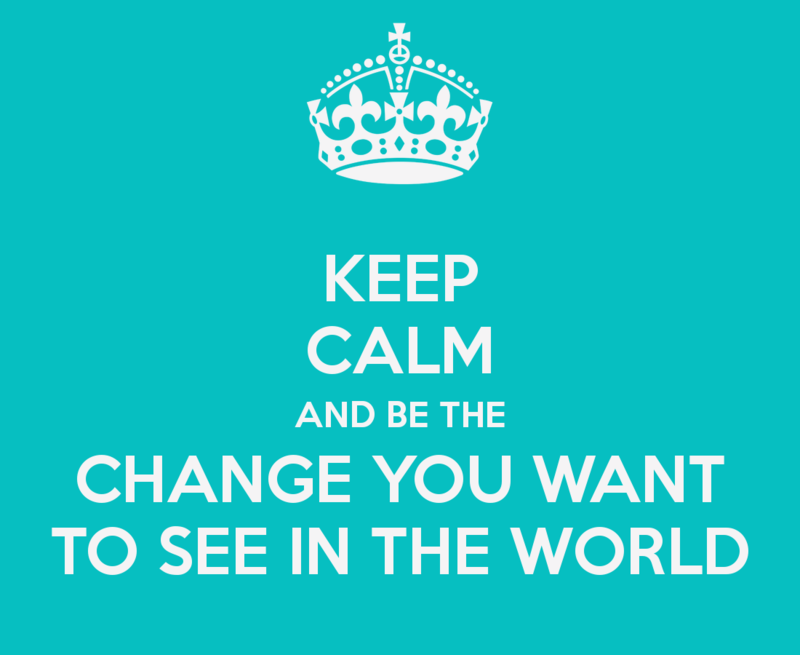 That if you want to change the world you would have to start from yourself! That people wouldn’t trust me if I committed sins myself! Cuz change, change and change!! We all want to see it! This was a post by brother Mohammad Ali on Facebook. Posting it on the blog so people can know how a Da’ee should be. Share it with whoever is involved in Da’wah work. This is a part taken from my lecture notes of “Personality of a Da’ee”. This actually applies to every practicing Muslim and not just a Da’ee. So what should be the personality of a practicing Muslim? How he/she must behave? What should be the body language? 1- He had a very formidable (robdaar) yet friendly personality. 2- He had a very lively and loving nature. 3- His presence used to awe people. 4- His manners would impress even his enemies. 5- He never did excessive joking or laughing. 6- He would speak in a clear manner and at moderate pace. 7- He would express how he felt through his emotions. 8- His body language was extremely decent and calm. 4- No excessive joking or talking. 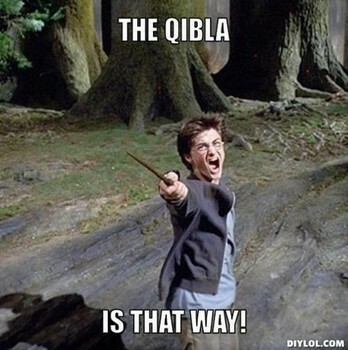 And every Sahabi was like that. 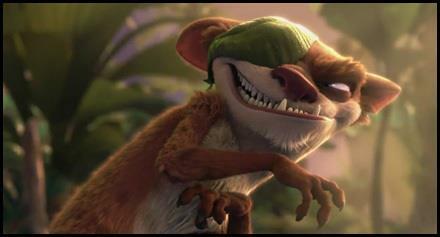 Now compare this with the picture shared in this post (character buck from Ice Age movie). 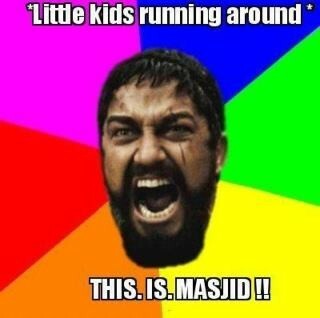 These days Muslim youth and Da’ees seem to be inspired by such cartoon characters and act like them. Hence losing that maturity, awe (rob) and inspiration which a practicing Muslim must possess. On the contrary, they’re acting stupid, immature, joking all the time, laughing, jumping and doing all sorts of things which decrease the charm from their personality. Time to think. Whom should we take as the ideal? Hollywood cartoon characters or the formidable men who inspired people just by their mere walk?